We Love Conservation Breed Wool! Part of the fun of working with wool is that there are so many unique varieties of sheep. Wool from different breeds work better for different projects and having a choice is fun! In order to make sure we have choices in our wool fibers for the future, we need to work on conserving rare sheep breeds. Choosing to work with Conservation Breed Wool helps support the farmers and organizations who are working hard to preserve these breeds. At The Woolery, we make an effort to provide a variety of Conservation Breed Wool options for you. We want to raise awareness and keep these rare and native herds around, so we thought we'd share a spotlight on some of our favorite Conservation Breed Wool! The Cotswold originates from the Cotswold Hills in the west of England. These sheep have a long history. 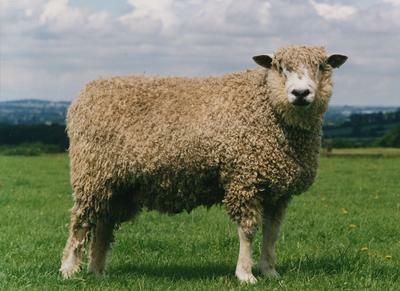 They are thought to be descended from the white sheep that Romans brought to England over 2,000 years ago. They began to face extinction shortly after World War I due to cross-breeding and low demand. Largely due to increasing interest from fiber artists, the Cotswold population has been growing in recent years. Cotswolds have a distinguishing forelock on the front of their faces, almost as if they have bangs. 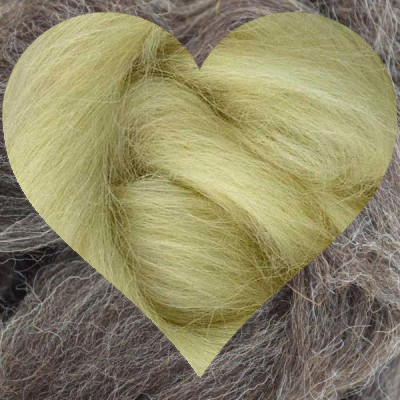 The Cotswold is known for its heavy, wavy, lustrous locks.The fiber diameter ranges from 33-42 microns. 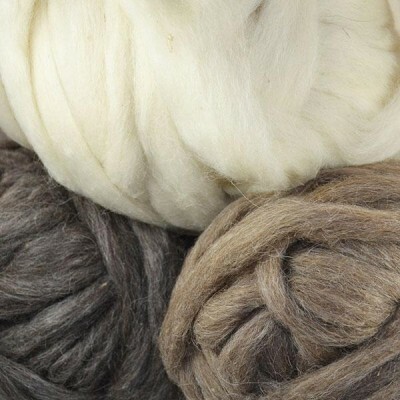 It's a great fiber for projects that need some extra durability like outerwear, rugs, and bags. 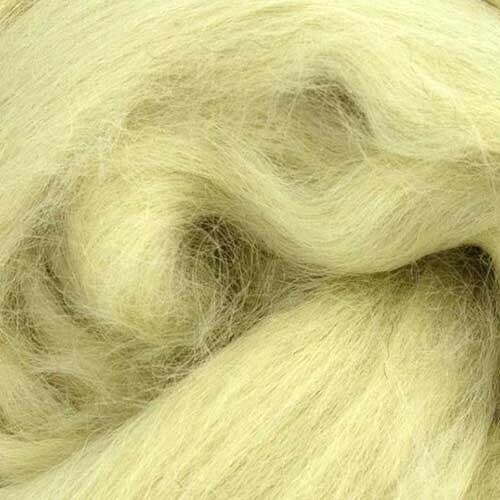 We carry this fiber in 250g bags of top! Next up we have an American conservation breed! The Jacob does exist in Britain as well, but they were bred for different optimizations, so the populations are very different. The Livestock Conservancy lists the American Jacob population as “Threatened". They are named for the biblical figure Jacob, because he bred spotted sheep. Jacobs are small and horned, with most having 2 or 4 horns. 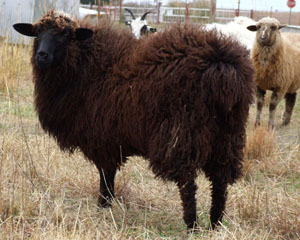 Unlike most other medium wool breeds, the Jacob has been bred with fiber quality in mind, making their wool sought after by both spinners and weavers. 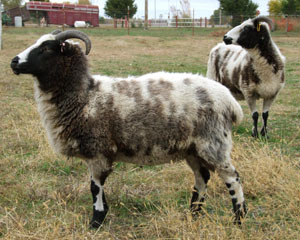 Also, because of their spotty nature, there are more natural color options than other sheep breeds can provide. 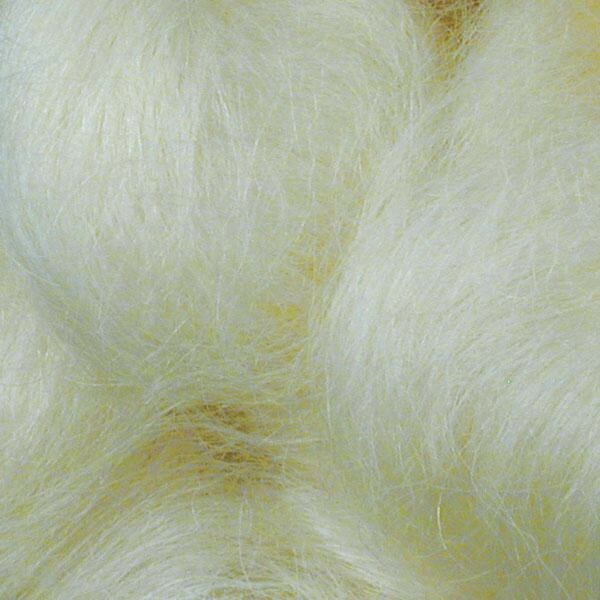 We sell this 33-35 micron fiber in 250g bags of top in white, grey, and black. The Lincoln Longwool was very popular in the mid 1800's because the value of wool was high and they have an impressive appearance. They were exported in large numbers all over the world and have been crossbred with many different varieties. The original Lincoln breed is now very rare globally due to breeders favoring mutton production sheep over wool production. Part of this breed's uncertainty is that breeder communities disagree as to whether or not darker colored animals should be considered registered Lincolns. 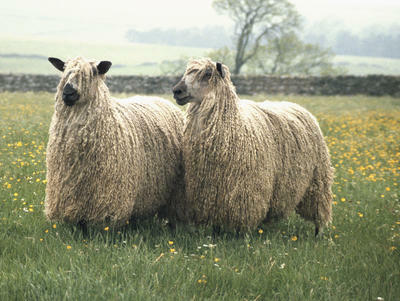 These sheep produce one of the heaviest fleeces and their fiber can be used to make heavier sturdy items. We carry white Lincoln top in 250g bags. The Navajo-Churro has a long and complicated history in North America. The Churro was the first domestic sheep to be brought over from Spain in 1540. They were a main source of meat for explorers and missionaries in the region that is now Mexico and the Southwestern United States. Later, they became incorporated into Native American flocks for their meat and wool. The Navajo-Churro developed out of the Native American desire for quality weaving wool and the natural selection of the Southwestern climate. During the 1860’s, the Navajo-Churro was nearly destroyed due to the United States government's efforts to subjugate the Navajo people. Over time, very few scattered flocks remained. Dr. Lyle McNeal founded the Navajo-Churro Sheep Association in 1977 and worked with traditional weavers and herders of the southwest to protect the animals. 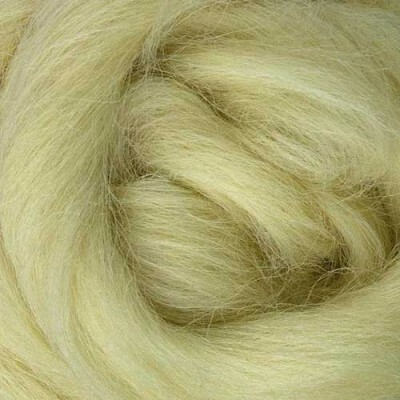 The yarn produced from the wool of the Churro is very durable and long lasting with a beautiful sheen. Churro yarn produces excellent tapestries & rugs. The slight fuzziness of the yarn gives lines a gentle blur. Good for those who want to spin their own sturdy yarn and perfect for authentic Navajo weaving. 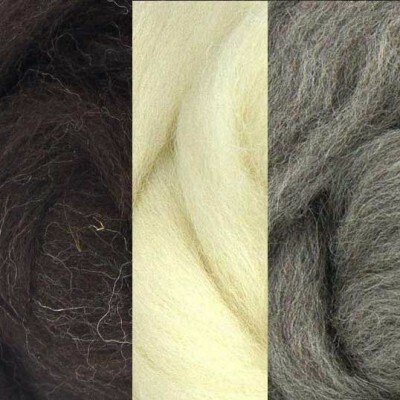 We carry this 10-35 micron wool in 8oz bags in a mix of colors; black, brown, tan, grey, and white. Teeswater sheep have a very fine long curly fleece. They are native to the Teesdale area of County Durham in England. Their main use today is crossbreeding to create the Masham ewe. Their long-stapled fleece is perfect for hand spinning, hand felting, doll making and many other craft uses. A wonderful weaving yarn, Teeswater is extremely durable without the scratch or stiffness. Knitted or crocheted items will have excellent stitch definition and will drape very nicely. We have Teeswater top available in 250g bags. These five breeds are just a small selection of the Conservation Breed Wool we have available; head here to see the rest! 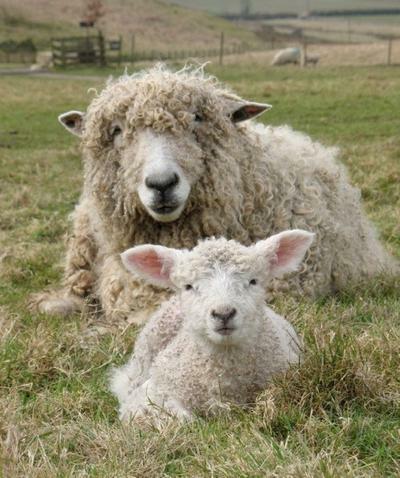 If you're interested in learning more about Conservation Sheep Breeds, the Rare Breeds Survival Trust and The Livestock Conservancy are both great sources of information! Sign up for our newsletter if you want to know when we add new Conservation Breed Wool.